Beautiful Resistance – found in a Bethlehem refugee camp! 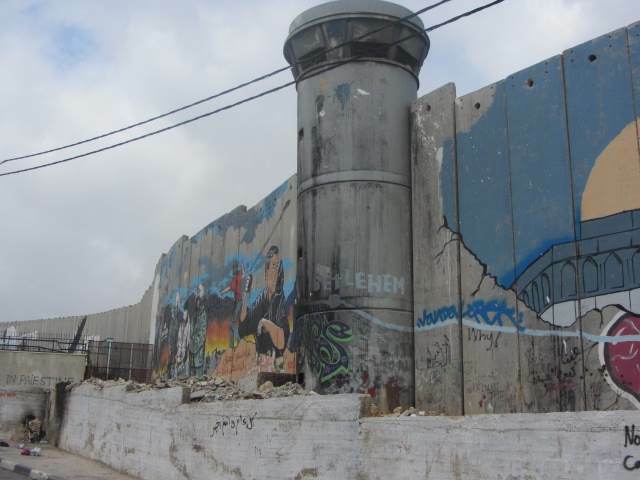 Bethlehem is a grim experience, as the tourists pile out of luxury to visit the religious sites whilst the Wall and the three refugee camps nearby continue to portray the reality of the Occupation. 60% of Aida Camp’s 4,000 inhabitants are under 18, an extra growing pressure on the camp’s facilities. They suffer from lack of water and sewage networks, unemployment and overcrowding. BUT in the midst of narrow cramped streets, with the omnipresent Wall, a Beautiful Non-violent Resistance can be found in the organisation of Al Rowwad – meaning ‘Pioneers for Life’. “We do not have the luxury of despair, but the steadfast hope that we can make a beautiful change for our children and the generations to come”. Alrowwad, is an independent, dynamic, community-based not-for-profit organization which strives to empower children and women by targeting behaviour, knowledge, concepts and practices through beautiful and non-violent means. The centre provides art, drama, film and animation; arabic, maths and english lessons and women’s groups. They reach out to other communities with a Play Bus, hold summer camps and international cultural tours. Another gem is the Lajee (meaning refugee) Centre focussing on training young people in arts and media skills and human rights workshops. They too have travelled abroad with their cultural shows and hope to go to Canada next year! At present they have a brilliant photography exhibition, the photos taken by teenagers, the youngest aged 11. We stayed in Anasta’s, slap bang in front of the Wall. 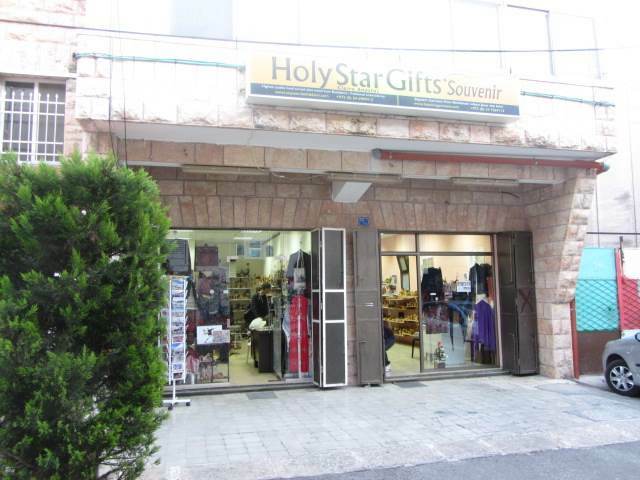 The Christian Palestinian owners Johnny and Clare are determined to make the best of it. Clare has harrowing experiences to tell especially from the 2nd Intifada. The guest house was going to be completely surrounded by the Wall with an electronic gate entrance, but when the diggers turned up (totally unannounced) they discovered a sewage pipe …..so the Wall had to be re-routed and the guest house is only surrounded on three sides!! Her well-stocked shop includes traditional embroidery produced by women in the refugee camps – including one aged 80! A vibrant fighter (non-violent! ), she says that her faith keeps her going. Her children are still harassed by the army and the threat of eviction hangs over the whole extended family in apartments in the rest of the building. 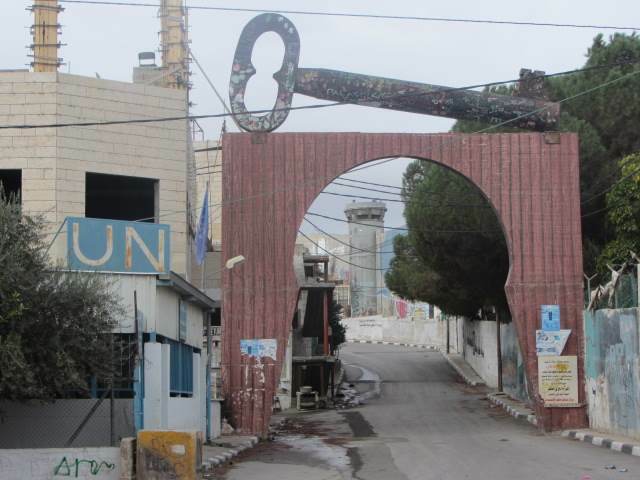 *The Aida Refugee Camp was established in 1950 on 16 acres of land between Bethlehem and Beit Jala. Its name originates from a popular coffee shop of the same name located nearby. The camp’s 4,000 residents came from 17 destroyed Palestinian villages, largely from the western Jerusalem (Beit Natif, Deiraban, Ras Abu Ammar, Allar, Malha) and western Hebron (Beit Jibrin, Ajjour) regions. After the 1967 occupation, virtually all the camp’s residents were within a half-hour’s drive of their former homes, but none were permitted to return. 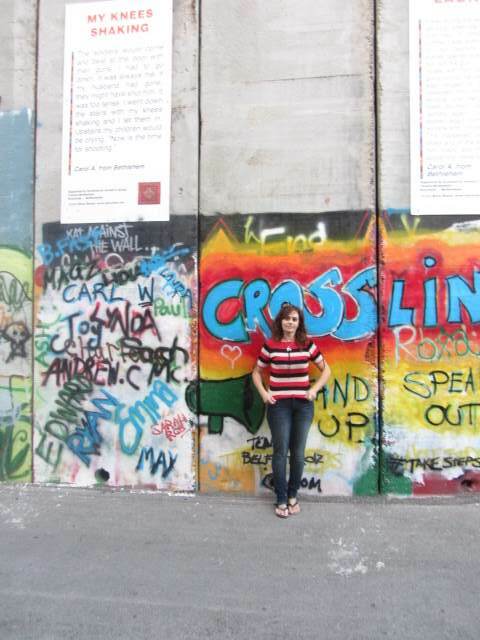 Comments Off on Beautiful Resistance – found in a Bethlehem refugee camp!